We’ve been thinking a lot about the benefit of having students listen to Shakespeare’s language. With the recent release of the digital edition of Othello, we are in the process of producing an audio recording of the play that follows the Folger edition. The goal is to enable students to read and hear the text at the same time. Our current production of Henry V is going to give us the opportunity to do an audio recording of the Chorus speeches, and we’re thinking this might be helpful for students to have available to listen to, as well. In the middle of considering all of this, it occured to us that it might be helpful to blog about it and see what kinds of responses we’d get to asking about how teachers use audio recordings of plays in their classrooms. We’re not talking about passive listening. Rather, actively engaging students through a guided listening exercise or activity, for example. 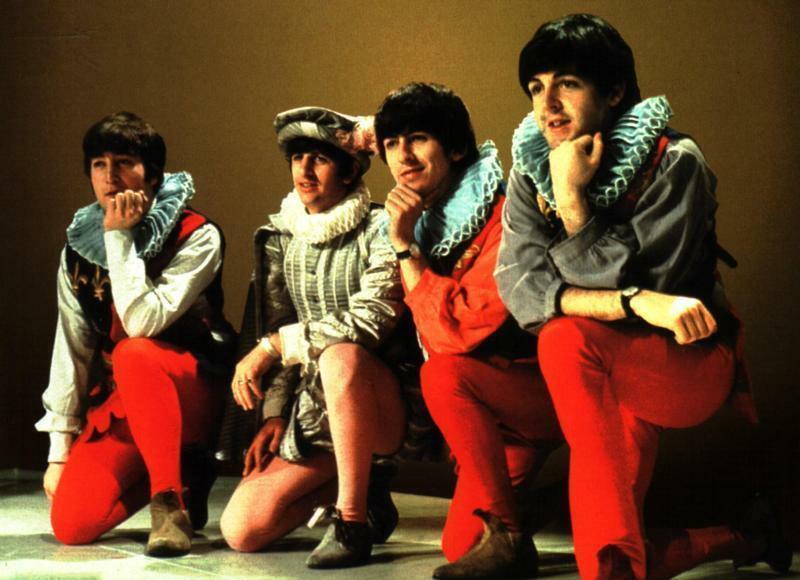 So, do you use audio recordings of Shakespeare’s plays, or of any plays, in your classrooms? How do you use them? Do you find the option to be a valuable one, based on your own classroom use? 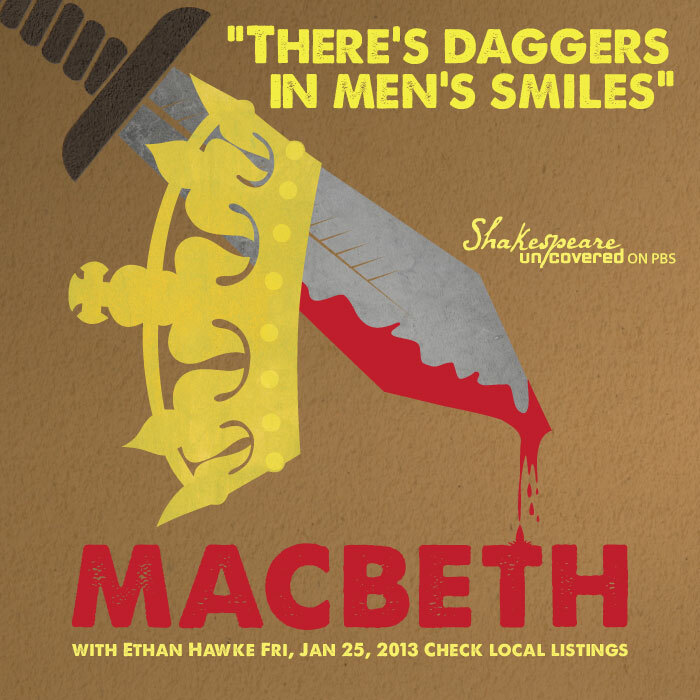 January 25th, 9-11pm EST: Macbeth with Ethan Hawke and The Comedies with Jolie Richardson. 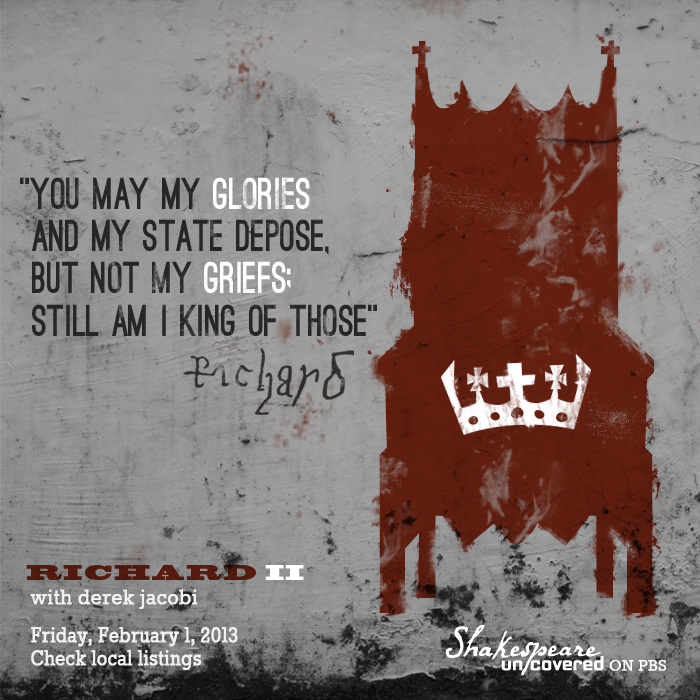 February 1, 9-11pm EST: Richard II, with Derek Jacobi and Henry IV, and Henry V with Jeremy Irons. February 8, 9-11pm EST: Hamlet with David Tennant and The Tempest hosted by Trevor Nunn. But the good news is that each of the hour-long shows will be available for streaming at the Shakespeare Uncovered site after they are broadcast, so if you missed the Macbeth or Comedies episodes, stream away. But what you probably don’t know is that several Folger Education folks served on WNET’s Education Advisory panel. I was lucky enough to be part of this panel along with Peggy O’Brien, Kevin Costa, Josh Cabat, and Sue Biondo-Hench. We were joined by Joan Langley from Oregon Shakespeare, Chris Anthony from LA Shakespeare Center, and Bill Heller from Teaching Matters. So now we’d like to hear from you. Tell us what you think of the shows, and more importantly, how you might use the videos and lesson plans with your students. Amy’s niece joins a scene from Macbeth. We started our exploration of the text by reading through the scene. I was amazed at how quickly she picked up the language. There were only a few words that she needed help defining, and after the second reading, she fully understood the action of the scene. This is when the fun began…we got the scene up on its feet. With every reading, she became more and more animated and died with dramatic flourish. It made me wish that she lived closer so that she could join the Stage of Fools! I could have performed the scene with her all night, but the weather made me nervous, so we donned our winter wear to make the slow trip home. Before leaving the theatre, she asked me if she could borrow Macbeth for the week and give it back when I visited her the following weekend. Of course, I said yes. The next weekend, I attended her 11th birthday party. To my surprise, she and her friends took turns enacting the scene for our entertainment during the party. 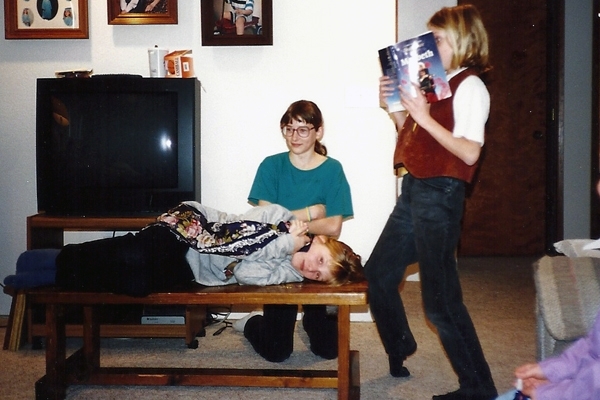 It turns out that she had read the entire play that week and taken the script to school so that she and her friends could practice during recess. As you might imagine, I was one proud aunt. Over the years, as the owner of the Shakespeare High website, I’ve been asked by parents and educators how soon we can expose our children to Shakespeare. I always cite this anecdote as evidence that young children are more than capable of reading, understanding, enjoying, and embracing Shakespeare’s language. While attending the “Shakespeare for All” workshop at the 2012 NCTE conference, Folger educators shared that “cognitive psychology tells us that adolescents have a harder time with language acquisition and dialect differences. Start with grades 3-6 because they are ready.” By introducing our younger students to Shakespeare’s language in small chunks, they will soon be ready to tackle a full play, and 9th grade teachers will no longer hear moans and groans when they introduce Romeo and Juliet for the first time. Although I don’t teach elementary school, I enjoyed learning about the performance-based methods used when teaching Shakespeare to younger children. 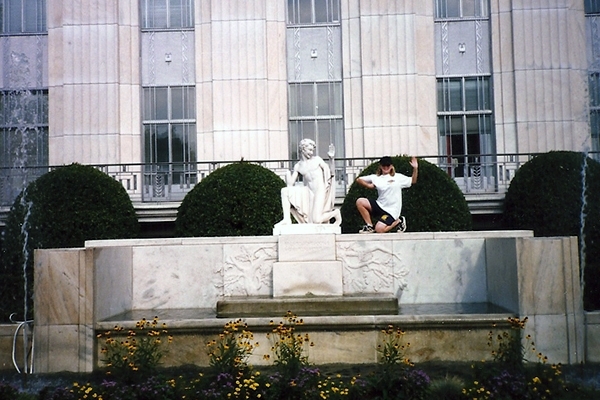 If I didn’t live in the “other” Washington, I would attend the Folger Shakespeare Library Conference on Teaching Shakespeare in the Elementary Classroom June 24-26, 2013. The conference theme is Sharing Our Stories. I’m thankful that I was able to share my niece’s story with you and hope you will share your stories with me by leaving a comment below. Amy Ulen is a TSI 1996 Alumni. After 20 years of teaching English and theatre, she moved into technology education. She created the Shakespeare High website and eventually plans on updating it again. She continues her passion for incorporating technology into the study of Shakespeare both online and in face-to-face workshops. My fall semester Introduction to Literature students were a great group. This course is a required, entry level lit course for first year students. Everybody takes this course and instructors are encouraged to develop unique, engaging themes for the course. I came up with “Journeys through Danger, Temptation, and Violence”. Although this title may seem an exercise in the Sergio Leone (The Good, The Bad and The Ugly) school of curricular development, it has actually worked fairly well. The course begins with Cormac McCarthy’s THE ROAD, moves to Capote’s IN COLD BLOOD, takes a left turn to Dickens’ A CHRISTMAS CAROL, then Shakespeare’s MACBETH, finishing up with Marlowe’s DOCTOR FAUSTUS. Students engage with these texts in a variety of ways, including writing the traditional literary analysis, branching out into multi-genre projects with the CAROL. The final two works, Macbeth and Doctor Faustus work well together thematically and comparatively. Performance activities blended with in-class readings has connected students with these texts in a new and often deeper way. With some groups and some students the performance activities can be intimidating. While some students have experience with this way of working with dramatic literature, for some it is a first. Students new or otherwise may find performing in front of the class is daunting. I have always offered doing scenes in video as an option but few have selected that option, until this past fall. From the beginning it was clear that these students were ready for whatever experience I was willing to give them. They quickly demonstrated experience and competence in the writing of the traditional college literary analysis. They loved to discuss and pushed me for more adventurous explorations of the material. As we moved into Macbeth we simultaneously worked our way through the text and formed production teams. Each team selected a scene from a teacher provided list. I provided some training in the language of Shakespeare and helped the groups engage with the text for deeper understanding. When given the performance choice most chose video production over live performance, the reverse of previous groups. The resulting scenes met my expectations for close reading and engagement. The discussion that resulted as we watched the videos was rich. The quality of the videos mattered less than the scene concept expressed. Rick’s students perform the text of Doctor Faustus in a video for a class project. To View this Video, Click Here! What I noticed as we moved into Marlowe’s Doctor Faustus was that the groups chose to stay together for the next performance project and expressed a desire to improve the films. There seemed to be a competition among the groups to put forward an improved product. As the quality of the videos did improve, the level of the textual engagement became much deeper. One group in particular selected a complex task. They wanted to do scenes from Doctor Faustus that included Good Angel/Bad Angel scenes. I suggested they adapt several of these scenes into one. The act of adaption required a deep study of the text of these scenes in order weave them together. The resulting video (linked below) opened an expanded discussion of the character of Faustus and speculation about author intent. The culminating assignment was a paper comparing the two plays which seemed an afterthought compared to the high level of engagement of the scene production process. I learned that alternatives to live classroom performance had potential for greater engagement. I have been aware for the past few years that more and more students came to class with experience in video production and skills with other technologies that could be utilized in performance activities. Students reluctant to perform live in class were very willing to perform in video. The level of engagement depended somewhat on my individual coaching of the groups and my facilitation of each group’s task/scene. I had to emphasize “process over product” and make sure not to become too focused on the success or failure of the technical aspects of projects. Instead, I commented on the concept students presented and how it addressed the text chosen. With the videos all students, presenters and audience, were able to focus on the textual interpretation. We could easily replay all or part of the videos as comments or questions arose. Some groups had issues with compatibility and portability of the videos. I suggested as a backup that the videos be posted on YouTube. Equipment varied from cellphone cameras to high end camcorders and use of Adobe Premier, iMovie, to Windows Movie Maker. Students were encouraged to use technology they had at hand. I stated clearly that this project was not about the quality of the video but the depth of the textual engagement. I set no “quality” standards but focused my attention on selecting challenging scenes and facilitating the groups as they addressed the task. While this group was exceptional in their engagement, they did not seem unusual in the technology skills they possessed. In written response following the completion of the project, they expressed surprise at the level of interest they developed in both Macbeth and Doctor Faustus. They connected particularly with the moral dilemmas faced by both characters. As a result I am rethinking the culminating comparison paper. Each semester informs the changes I will make for the next, that’s the one constant I have been able to count on over the course of my teaching career. Last summer, the BBC aired a six-part series exploring Shakespeare’s plays with interviews from actors, directors, and scholars interspersed with clips from movies and recorded stage performances of the plays being discussed. On this side of the pond, at least, those of us without higher-listed cable waited patiently for either a DVD of the series or for its American airing. The latter, at least, is here! 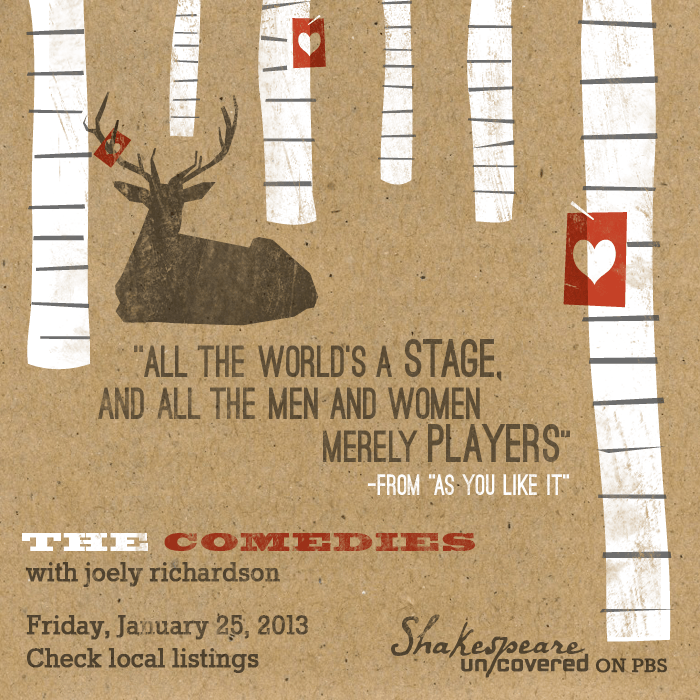 January 25th, 9-11pm EST: ‘Macbeth’ and ‘The Comedies’ hosted by Ethan Hawke and Jolie Richardson. February 1, 9-11pm EST: ‘Richard II,’ ‘Henry IV,’ and ‘Henry V’ with Derek Jacobi and Jeremy Irons. 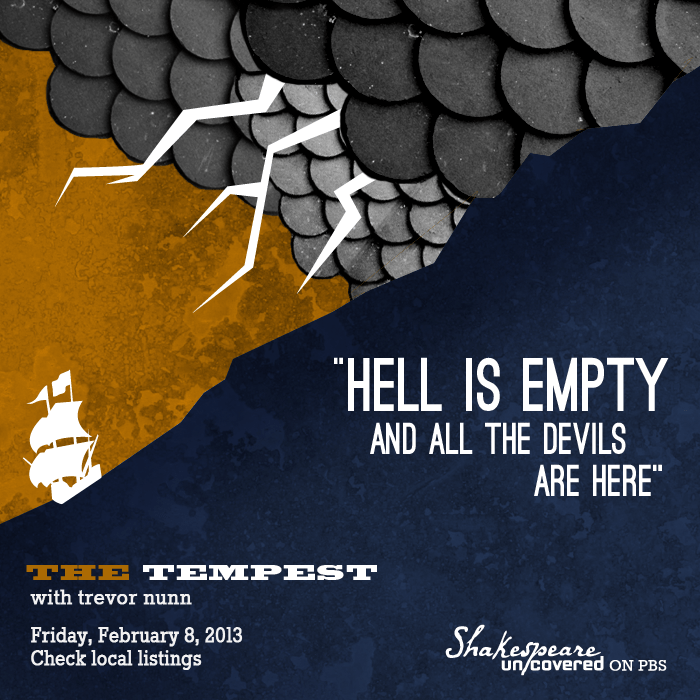 February 8, 9-11pm EST: ‘Hamlet’ and ‘The Tempest’ hosted by David Tennant and Trevor Nunn. What’s especially exciting about this series is that far from being a definitive account of what these plays are or mean, the hosts discuss their passion for the play, and consider the plays’ many interpretations and long histories. Hopefully these hours can stimulate discussions about the plays, and give new perspectives for approaching the texts from different points of view. The DVD set will be available by April, and can be pre-ordered from PBS, if you’re interested in that. I want to share a simple method, learned at the Folger and use extensively in my classrooms, to get ALL kids reading Shakespeare in a relatively short period of time, even with scenes where only two or three characters are speaking, even with monologues and soliloquies. Here it is: Number the text. 1 ABRAHAM: Do you bite your thumb at us, sir? 2 SAMPSON: I do bite my thumb, sir. 3 ABRAHAM: Do you bite your thumb at us, sir? 4 SAMPSON: [Aside to GREGORY] Is the law of our side, if I say ay? 6 SAMPSON: No, sir, I do not bite my thumb at you, sir, but I bite my thumb, sir. 7 GREGORY: Do you quarrel, sir? 8 ABRAHAM: Quarrel sir! no, sir. 9 SAMPSON: If you do, sir, I am for you: I serve as good a man as you. 12 GREGORY: Say ‘better:’ here comes one of my master’s kinsmen. 13 SAMPSON: Yes, better, sir. 15 SAMPSON: Draw, if you be men. EVERYONE: DOWN WITH THE CAPULETS! DOWN WITH THE MONTAGUES! 1. LINE VOLLEY: Half the class can enact the EVEN numbered lines, the other half, the ODD numbered lines. Lines will be spoken alternately between the lines. One or more students can intervene as the Prince. 2. 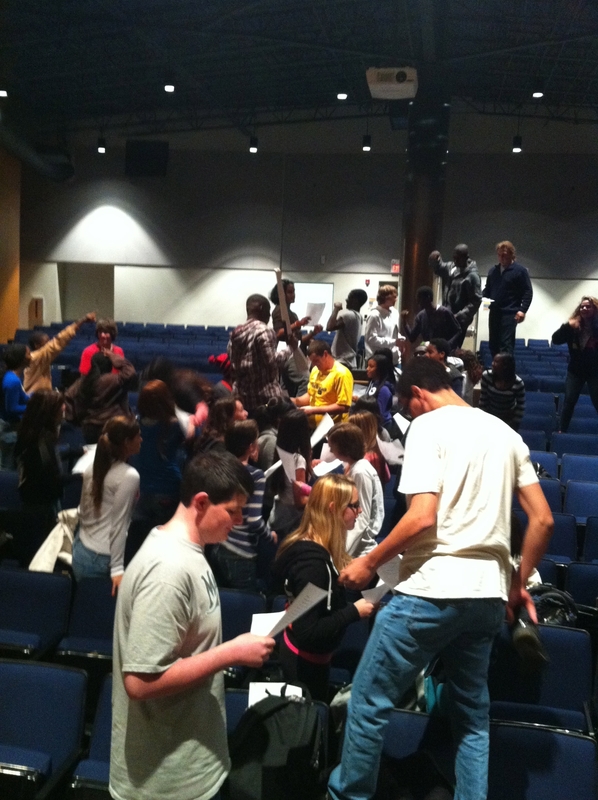 ENSEMBLE SCENE: Two groups of fifteen students can enact the scene each having their own line. The part of the Prince may be read by all in unison…or by one person if one of the students takes two lines. 3. 3-D SHAKESPEARE: Four students may perform the speaking parts of this scene with the rest of the class serving as directors with the teacher facilitating between the actors and the audience asking the hard questions. Who is here when the scene starts? One of the most effective teaching days I had with this particular bit of numbered script consisted of a line volley with 45 students. There were so many bodies that we “staged” the scene in two aisles of the audience across the middle orchestra seats. Students delivered contentious lines as they climbed over seats brandishing rolled up scripts, eyeballing the enemies from the other side.